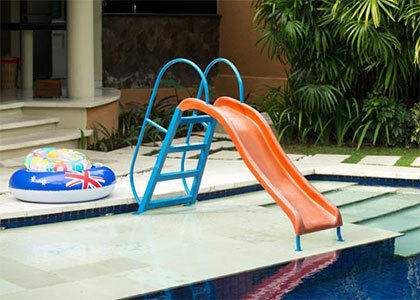 Boutique Bali hotel villa offering 18 fully serviced private villas in Bali's conveniently located in the trendy Seminyak area only minutes away from one of the island's most famous stretch of golden-sand beaches and a myriad of restaurants and shopping boutiques. A unique blend of Balinese water terraces with a glass wedding chapel to bring the beauty of Bali into your wedding as a treasured guest. We stand ready to tailor your special day at Santi Chapel, to create a couture wedding which will surpass the wedding of your dreams. The Kunja is a Bali villa resort located in Bali’s trendy Seminyak area and offers 18 well placed and full service Bali villas. 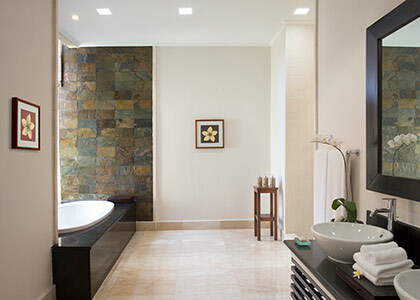 Just a few minutes away from one of the island's most famous stretches of golden sand beaches, numerous restaurants, and shopping boutiques, these uniquely designed Bali luxury villas are secluded from the crowded areas of Kuta. 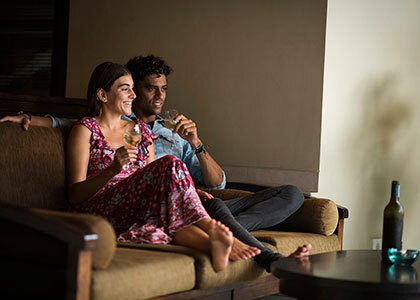 Couples on a honeymoon can easily rent a Bali honeymoon villa at The Kunja for the price of a hotel room and enjoy the sun, sea, and glorious beaches of Bali. 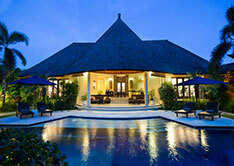 These Bali honeymoon villas are guaranteed to have you writing home about your perfect vacation and honeymoon in Bali. Bali is a jewel amongst the Indonesian islands, and is a favoured destination for adventurers, vacationers, honeymooners, and people looking for a serene and relaxed vacation. Bali has abundant coral reefs that are ideal for diving, and the dense jungles are teeming with wildlife, ancient monuments and temples enough to satisfy any tourist’s need for exploration. Bali is famous not only for its beauty, beaches, ancient culture, and tourist attractions, but also for luxurious Bali island villas. 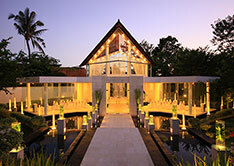 A significant number of tourists visit the north, east, and center of Bali, but the main tourism flow is to the south of the island of Bali due to the numerous spa resorts and reasonably priced Bali luxury villas and Bali spa villas available in properties like The Kunja, and private Bali honeymoon villas for rent. The most visited tourist spots are Kuta, Legian, and Seminyak, along with the eastern coastal town of Sanur only 30 minutes away. 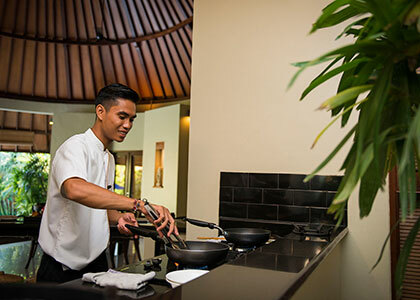 The Kunja - offers Bali Hotel Villas and offers guests a breathtaking amount of space both inside the individual villas as well as the property on which they are located. 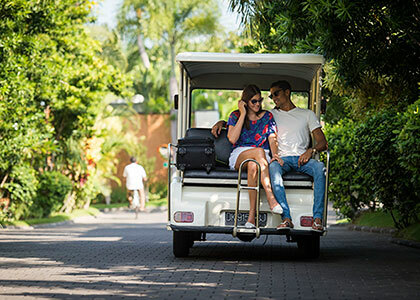 Specializing in one-bedroom retreats for honeymooners and couples, The Kunja is only a hotel by name, as the vacation villas themselves are as spacious, refined and private as many of the more attractive private homes and Bali villas. The Kunja comprises 4 spacious three-bedroom villas and 14 one-bedroom villas, each appointed with a large central living area, private swimming pool with sundeck, full-service kitchen, en-suite bathrooms and large tropical garden.